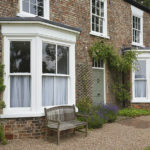 They don’t come much more attractive than this beautiful double-fronted Victorian home in York. 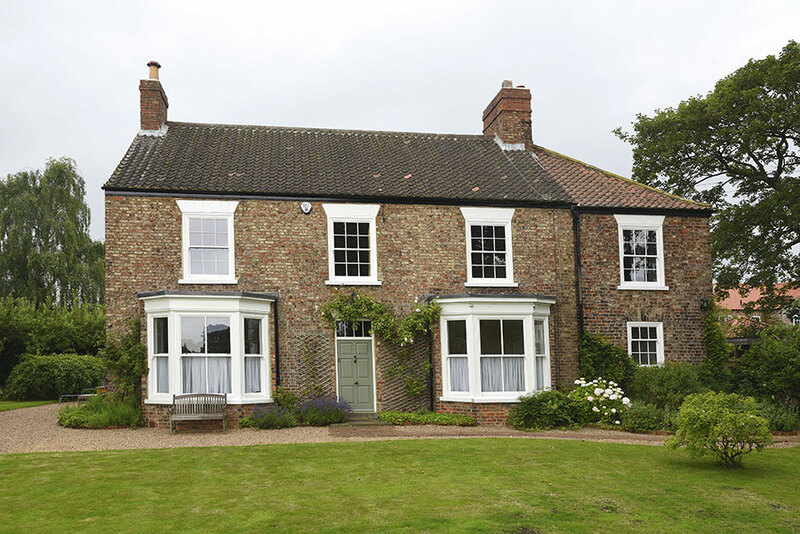 A mixture of Georgian and Victorian style sash windows sat between the brickwork give this family home a period charm like no other. 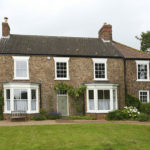 Following their move to the property in 2016, Mr and Mrs S. noticed that the existing windows were rotten and needed attention – “We wanted the new windows to be double glazed but to fit with the house and be high quality. 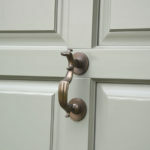 An Internet search and discussion with local agents lead us to you. 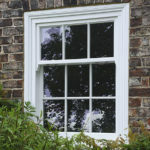 We were very impressed by the quality and the ‘fit’ of the windows to the house”. 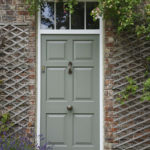 The front door, which had been replaced a few years before Mr and Mrs S. purchased the house, did not fit well. 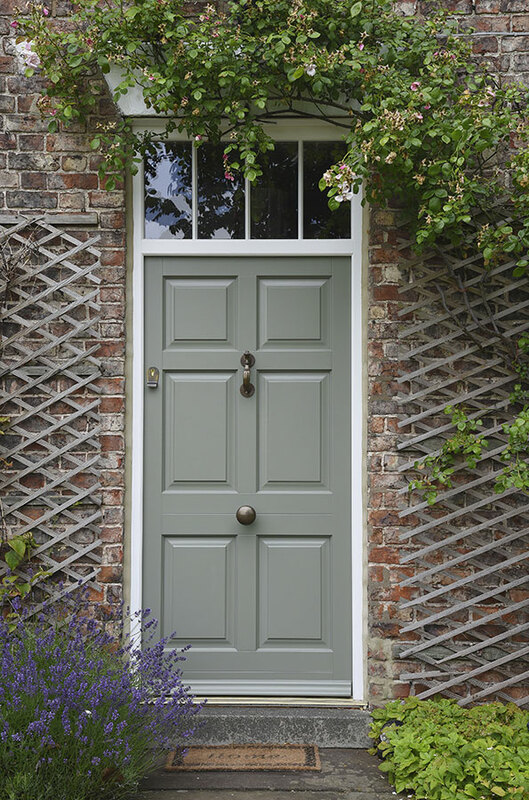 After visiting the showroom at Hare-wood they set their hearts on our Chadlington door, factory painted in our popular ‘Tent Grey’ with a white frame to match the windows. 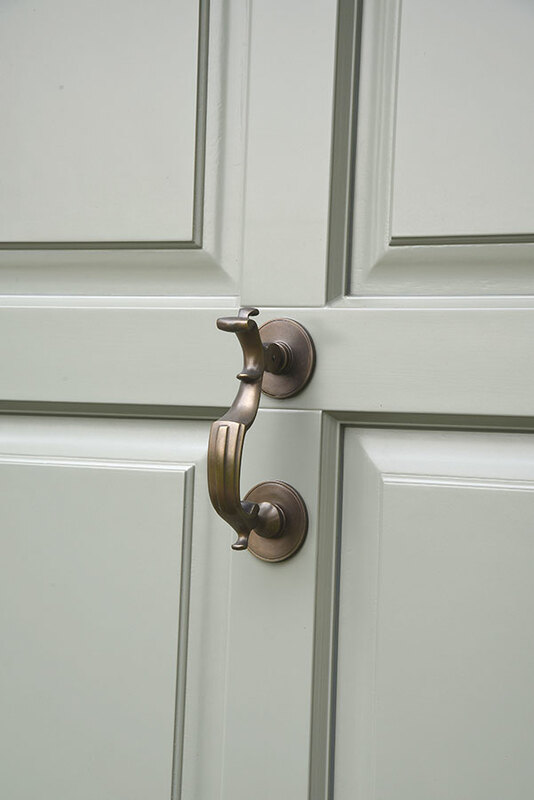 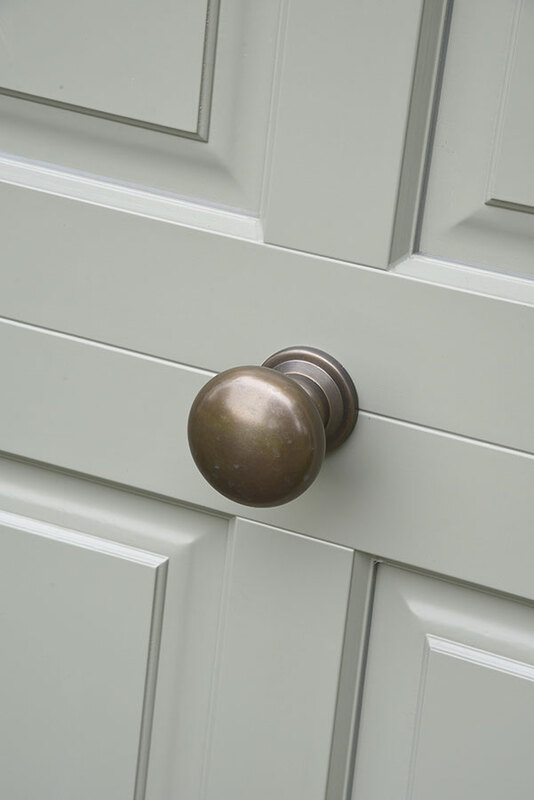 Samuel Heath Doctors knocker and profile door knob in an antique brass finish were installed to finish off this classy job. 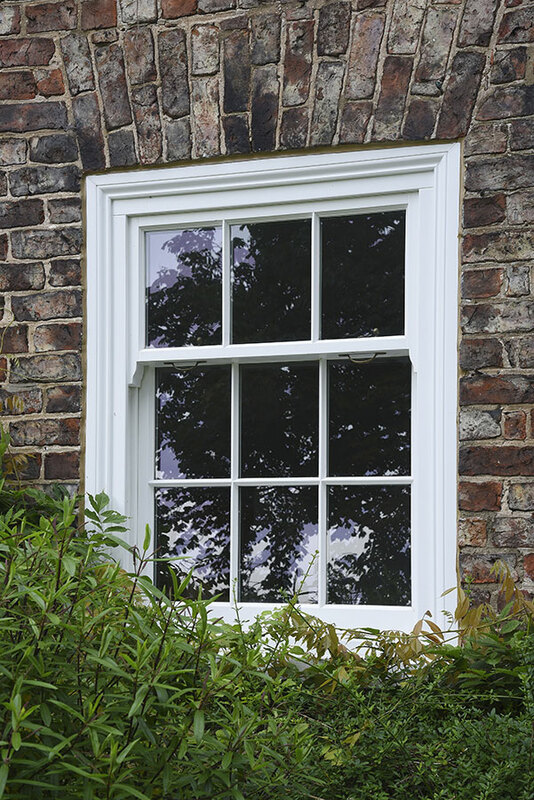 Our slim sash, which have thin double-glazed units filled with Krypton gas for insulation purposes, were installed between the brickwork rather than behind like most period homes. 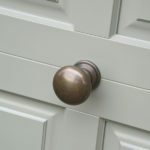 This is an uncommon but traditional feature in homes across the UK. 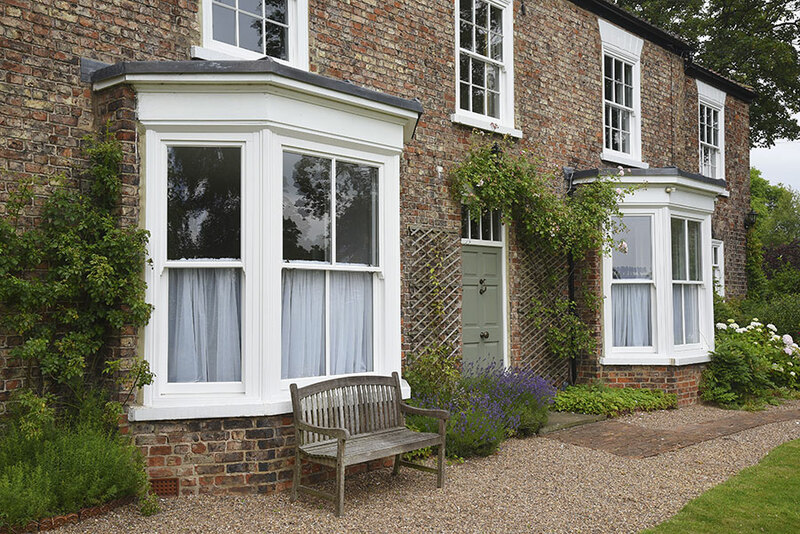 To lessen the visual impact of the heavy timber box frame, we installed a decorative architrave around the outside, this is often known as ‘picture framing’ and gives a nice feature to homes that aren’t built to conceal the large box of a sash window.